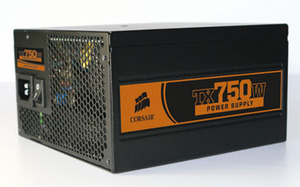 Win a Corsair TX750W Power Supply! Win a Corsair TX750 Power Supply! If the competitions we have announced over the past couple of weeks weren’t enough to get you into the festive spirit, we’ve got another one for you here today. On top of its sponsorship for our monster Mod of the Year 2007 contest, Corsair wanted to provide something extra for five lucky bit-tech readers during the Christmas holiday period. If you’ve already got an upgrade planned over the Christmas period, Corsair might have something here that will go a long way to ensuring your upgrade is as smooth as possible. 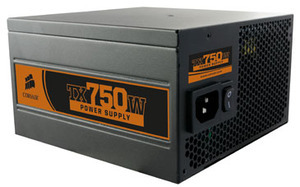 The company is offering bit-tech readers the chance to win one of five fantastic TX 750W power supplies. Extra long cables support full tower size chassis. Question: How long is the warranty on Corsair's TX Series power supplies? If you are stuck, this webpage might help you. When you've figured out the answer send it in an email along with your name and daytime contact telephone number to competition@bit-tech.net. This competition is open to all bit-tech readers. Bit Publishing Ltd employees, shareholders and immediate family members are prohibited from entering the competition. Entries must be received by 11:59 PM GMT Monday 31st December 2007 to qualify. Multiple entries will be disqualified - please include your name and daytime contact number in your submission. The five winners will be chosen randomly from correct entries and winners will be informed by email. The Editor's decision is final. Prizes cannot be swapped for a cash alternative. Winners will be responsible for any import duties payable on the prizes. Your email address and telephone number will only be stored for the purpose of this competition and will not be passed onto any third parties. Give away number five today for our voters - and on the cards is a power supply we've previously recommended - The PC Power and Cooling 750W. Click to see who's won!